The global component of the OOI design includes a network of moorings at critical, yet under-sampled, high-latitude locations such as within the Irminger Sea in the North Atlantic. Moorings located in the Irminger Sea supports sensors for measurement of air-sea fluxes of heat, moisture and momentum, and physical, biological and chemical properties throughout the water column. 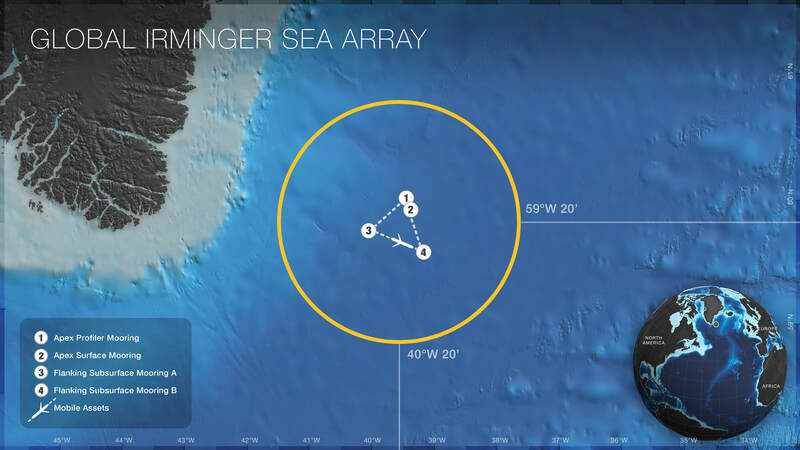 The Global Irminger Sea Array is a combination of fixed platforms (moorings) with moored profilers to address the requirement to sample the full water column and mobile platforms (gliders) that provide simultaneous spatial and temporal sampling capabilities. 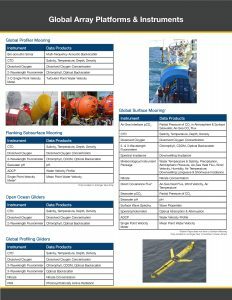 The array is composed of an Surface Mooring containing fixed instruments situated on the buoy and through the top 1500 m of the water column. A subsurface Global Profiler Mooring made up of one wire-following profiler operating from ~240 m to 2400 m. Two Flanking Moorings form a triangular array ~20 km on a side. 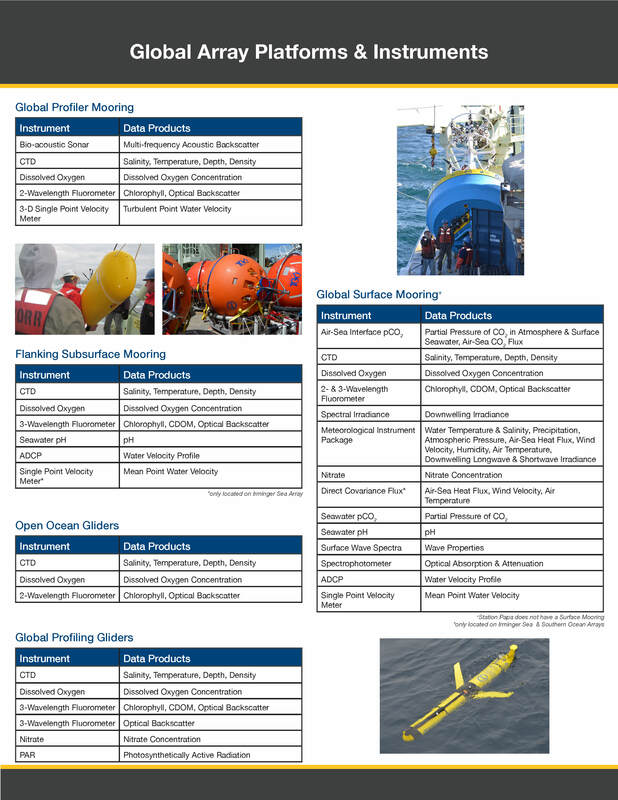 These flanking Moorings have their uppermost flotation at ~40 m depth and instruments at discrete depths along the mooring line to a depth of 2700 m.
Open-Ocean Gliders sample within and around the triangular array equipped with acoustic modems to relay data from the Flanking Moorings to shore via satellite telemetry. Profiling Gliders sample the upper water column near the Apex Profiler Mooring. 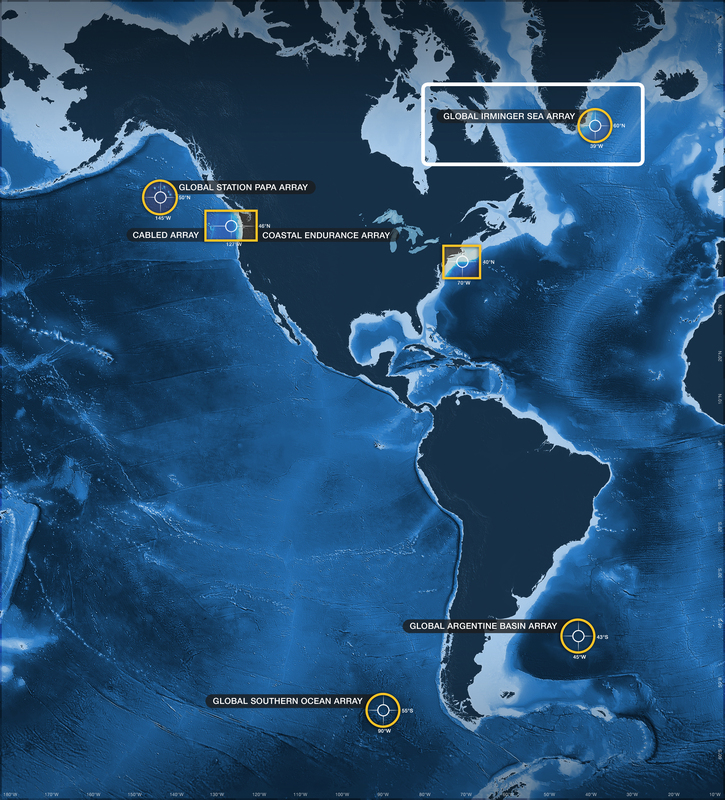 For more information, check out the Irminger Sea Array related news stories.